We offer a wide range of industrial washer extractor, that is a combination of washing machine and hydro extractor and is widely used in standard as well as high level shop floors. Designed using advanced technologies, these machines also help in saving loading and unloading time for both the conventional washing and hydro extractor machines. Our range is manufactured using graded components and is appreciated for its sturdiness, corrosion resistance and better durability standards. 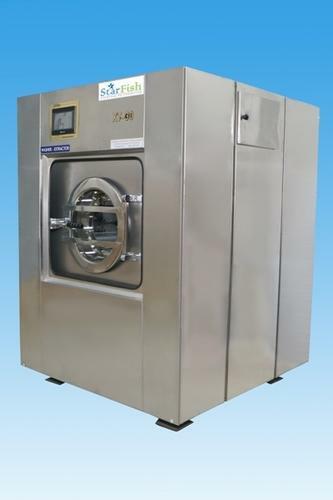 We are offering a wide - ranging collection of StarFish Washer Extractor. Under this Washer Extractor is provided in several specifications as per with the customer’s requirements which satisfy all industrial experts needs. It is manufactured with separated barrels that enlarge the thrashing of the washing stuff. Offered washer extractor is highly demanded in the market for their remarkable features, reasonable cost.